Plus, how the CEO doesn’t want you to start your day. The renowned founder of The Huffington Post and author of 15 books, Arianna Huffington is the iconic businesswoman of our age. Her namesake, The Huffington Post, is now a Pulitzer Prize-winning global media platform, and she serves on numerous boards including Uber and The Center for Public Integrity. Regardless of her continuous success, her perspective on the topic hasn’t always been the same. Back in 2007, Arianna came to a startling realization when, due to overwork, she collapsed in her office. The incident prompted her to redefine success and assess the importance of taking a step back from work at times. In 2016, her interest in well-being lead her to launch Thrive Global, a health and wellness startup of which she also serves as CEO. 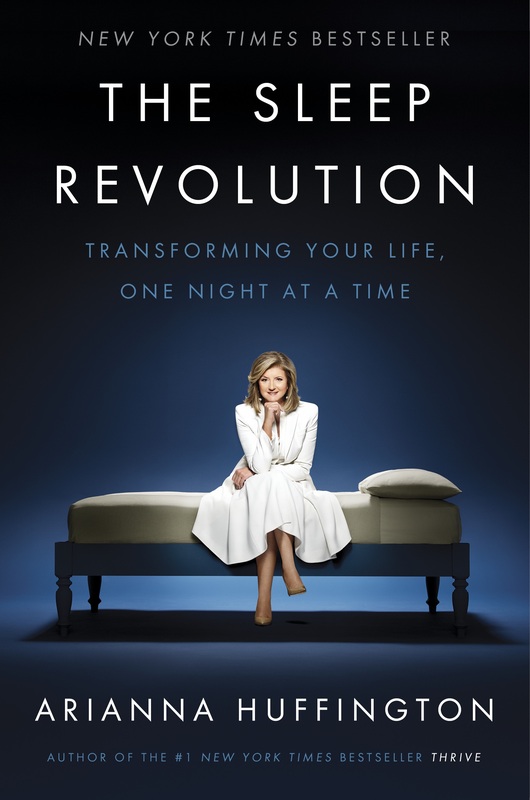 Her most recent book, The Sleep Revolution, explores the topic of sleep through historic, scientific, and personal angles, showing the need for a “sleep revolution” for us to take back control of our hectic lives. 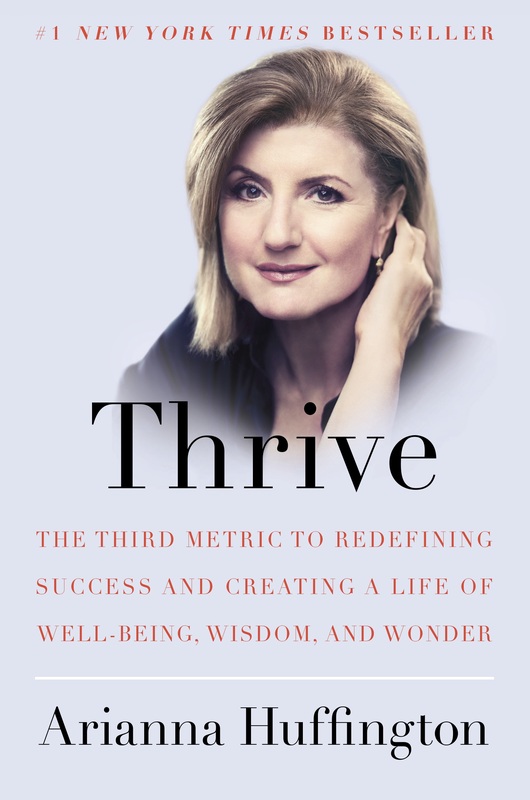 KonMari Media had the opportunity to meet Arianna in the Thrive Global office in New York, and subsequently ask her questions about the importance of sleep, the role of joy in her success, and her advice to thriving in today’s world. You’ve spent this past year visiting college campuses discussing the importance of sleep, a subject that you cover in your book, The Sleep Revolution, and in articles on Thrive, your new wellness and productivity platform. In what ways might the tidiness of individuals’ physical spaces impact their ability to fall asleep? Much of what keeps us from sleeping is the clutter in our minds, and the clutter in our physical space creates stress with visual cues that can keep the mind occupied by reminding us about what’s incomplete. So, as the U.K. Sleep Council recommends, de-cluttering your room can help de-clutter your mind for a better night’s sleep. You have mentioned in a recent article that the younger generation is more aware of the benefits of sleep than the ones before them; yet, despite this knowledge, they continue to forego sleep in favor of responding to work emails, connecting over social media, and getting ahead on schoolwork and in business. Are there steps you advise for confronting and mitigating these academic and work-related anxieties? Even though they know the value of sleep more than my generation, too many students still believe that they’re more likely to succeed if they stay up late, pull all-nighters and tell everyone just how little sleep they’re getting. But the science clearly shows otherwise. Unless you have the genetic mutation allowing you to get by on short sleep — and only about one percent of the population does — the vast majority of us need seven to nine hours of sleep. It’s all about priorities — and realizing that your performance in your day-to-day work and school life actually suffers when you don’t prioritize your well-being. Fortunately this generation is very science oriented, so if you can clearly show them the science, they are more likely to go with it and adjust their priorities accordingly. One tip I often share with young people is to think of sleep as an appointment with themselves — on par with class, for which they stake out time and adjust the rest of the day accordingly. When we think of sleep the same way, we’re far more likely to see its value and treat it as a priority. What is your own routine for preparing for sleep? How do you know when to stop working and transition into relaxation mode, and what is your advice for others looking to establish a routine? Routines are very important — they help us internalize behavior so it becomes natural and we no longer have to think about it. This is especially important at night, as a set ritual helps tell your mind and body that it’s time to begin to wind down and put away the cares of the day. My own involves turning off all my electronic devices and gently escorting them out of my bedroom. Then, I take a hot bath, which I prolong if I’m feeling anxious about something. Sometimes I’ll have a cup of chamomile or lavender tea if I want something warm and comforting. And I also love reading real, physical books — especially poetry, novels and books that have nothing to do with work. Everyone’s routine will be different, but what’s important is that you establish one. At Thrive Global, we recommend what we call microsteps — small, actionable steps you can incorporate into your life today — and one we particularly recommend is charging your phone outside your bedroom. Our phones are repositories of everything we need to put away to allow us to sleep — our to-do lists, our in-boxes, our anxieties. So putting your phone to bed as a regular part of your bedtime ritual makes you more likely to wake up as fully charged as your phone. Nowadays, we are constantly receiving updates from our newsfeed, and at times it seems that keeping up with them is part of a requisite to survive. How can we balance keeping up with constant streams of news with maintaining a decluttered state of mind? Do you use a particular method to unplug regularly? In the morning, a big part of my ritual is about what I don’t do: when I wake up, I don’t start the day by looking at my smartphone. Instead, once I’m awake, I take a minute to breathe deeply, be grateful, and set my intention for the day. Then I’ll do 20 to 30 minutes of meditation. That can make a huge difference throughout the day. However you disconnect, it’s important to be deliberate about it — it won’t happen by itself. So you can try going to lunch without your phone, going on a walk without your phone, eating dinner with friends with no phones. Whatever it is, make time to disconnect. What inspired the focus of Thrive to be dedicated solely to wellness and productivity? Is this move in response to our current social climate? It goes back to 2007, when I collapsed from exhaustion. In finding out what was wrong — it turned out to be burnout — I became more and more passionate about the connection between well-being and productivity. And that led me to write my two books, Thrive and The Sleep Revolution. And as I went around the world speaking about them, and the issues of stress, burnout and sleep deprivation, I saw how deeply people want to change their lives. So I wanted to go beyond just speaking out and raising awareness — I felt the need to turn this passion into something real and tangible that would begin to help people change their daily lives. It was a call to action I just couldn’t ignore, and so I founded Thrive Global. Central to the KonMari Method is envisioning one’s ideal life prior to tidying. This establishes a goal for tidying and sets the practice into motion. What are your suggestions for individuals establishing goals in wellness and increased work-life balance, the two topics that Thrive explores most deeply? The first step is realizing that work and life are not on opposite sides — so they actually don’t need to be balanced. They’re on the same side — so if you increase one, you increase the other, which is what the science clearly shows. So once you realize that, it’s much more easy to be ruthless about making time to take breaks and recharge. And to realize that when you do this, you’re not being selfish, you’re being responsible. What are some patterns of thinking that you’ve noticed in individuals who prioritize work over wellness? What are some actions individuals can take to counteract these thought patterns? They first have to be disabused of the myth that overwork and being always on leads to success. I once believed that, but learned the truth the hard way when I collapsed from exhaustion in 2007. And I made it my mission to help others learn, as I did, to free themselves from the collective delusion that burnout, stress and sleep deprivation are the price we must pay for success. And there’s an increasing amount of science supporting this. But even when you realize this, it’s still not easy to put the science of well-being and productivity into action in a workplace culture that still prioritizes burnout. So if your workplace still believes in the myth of burnout, you have to take steps to turn that around, so that it’s those who take care of themselves who are celebrated, congratulated and promoted. As more and more individuals work at least partially from home, what are some boundaries that they can establish to separate those two areas of their lives? What’s important, especially if you’re working at home, is being very deliberate about building movement into your day. Also, people working at home often feel the need to be available all the time, but being in that always-on state is terrible for our well-being. Those working at home should also realize that it’s not only okay but vital to disconnect, unplug and recharge. Just be sure to set expectations with your manager and colleagues so everyone is on the same page. Women continue to spend significantly more amount of time on domestic chores, such as tidying, than men. According to the Bureau of Labor Statistics, little has changed in the amount of housework men and women do over the past decade. What are some reasons that contribute to this disparity? What are some ways to move toward greater equality at home? Part of the reason for the disparity is the prevalence of workplace cultures fueled by burnout, for which women pay the highest price. It becomes a backdoor way of excluding women or at least making it harder for them to advance. But in these macho work cultures, in which overwork and long hours are taken as a proxy for commitment and dedication, men are disincentivized from taking on more responsibilities at home — while we, as a culture, continue to expect women to do it all. So moving toward greater equality at home goes hand in hand with changing our work culture: we should continue to rightly insist that men do more at home, and at the same time insist that our workplaces work for women just as well as they work for men. You’ve been acknowledged as one the most influential individuals in the world by Time, Forbes, and The Guardian, to name a few. You’ve co-founded and served as the Editor-in-Chief to The Huffington Post. How does your work continue to remain generative and spark joy for you? The mission of Thrive Global — to help people escape the burnout epidemic so they can thrive — is incredibly motivating to me and, yes, sparks joy for me every day. And it’s really in keeping with what I was doing at the Huffington Post. The through-lines to my life have been my love of helping people engage and connect — with their jobs, with their friends and family, and especially with themselves. And being able to continue to do that is a privilege that gives me great joy. What is involved in your decision-making process when it comes to which endeavors or projects to undertake? It’s really about finding out what you truly value — to discover, as you say, what gives you joy. But to do that, you have to know yourself. And to know yourself, you have to make time to disconnect from the world so you connect with yourself. That will make it much easier to know what you truly value and then make decisions about what to undertake. How has the question “Does it spark joy?” contributed to your overall wellness? This question helps our well-being because it’s incredibly liberating. If something doesn’t spark joy, it’s likely giving you something else: stress, guilt, or even just the pressure of being another thing on your to-do list. And freeing the small part of your mind that each of these things occupies gives you a greater capacity to feel joy from what you truly value.